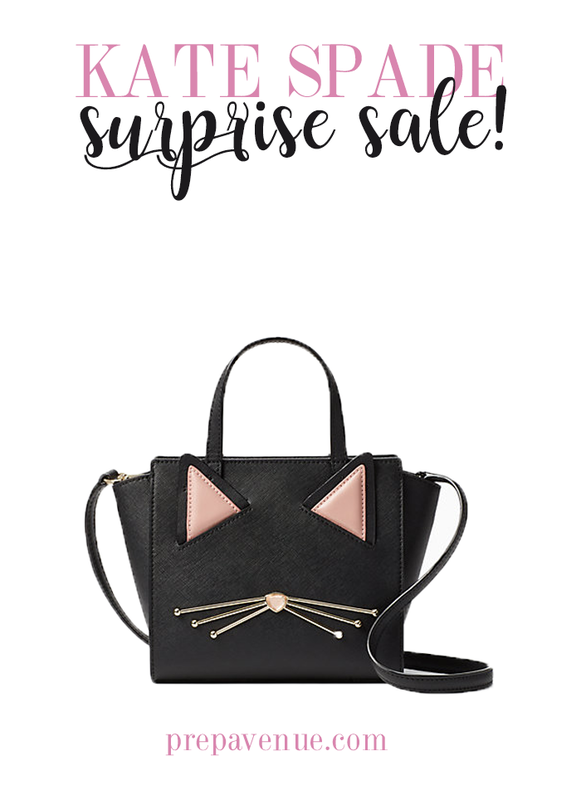 It's like Christmas every time I see an email announcing a Kate Spade Surprise Sale pop up in my inbox! I really don't like to buy anything from Kate Spade that's full price because it seems like things constantly go on sale and you can end up getting pieces for a huge steal. I visited the Kate Spade outlet when I was in Hilton Head last week and saw a lot of what's included in the sale, in the outlet store. And let me say, it's going to be hard to resist myself. Buy fast though, sizes sell out fast and the sale only lasts until August 19th at 11:59 PT!! 1. I bought this dress last week at the outlet and think it will be a great future work dress. 2. This is the watch I wear literally EVERY DAY and it's on sale for less than $140!!! 3. I have this and I keep it in my bathroom with different medicines that I always keep on hand. 4. I was so close to buying this shirt at the outlet. Too cute. 5. Classy with a twist...very tempted. Two words: cut outs. 6. Obsessed with this dress and the price, it's only $59!!!!!!!!!! I have gotten something in the last 2 surprise sales, but nothing really tickled my fancy this time...I do have that watch in gold and silver and wear them daily-so that is a great buy for someone else!